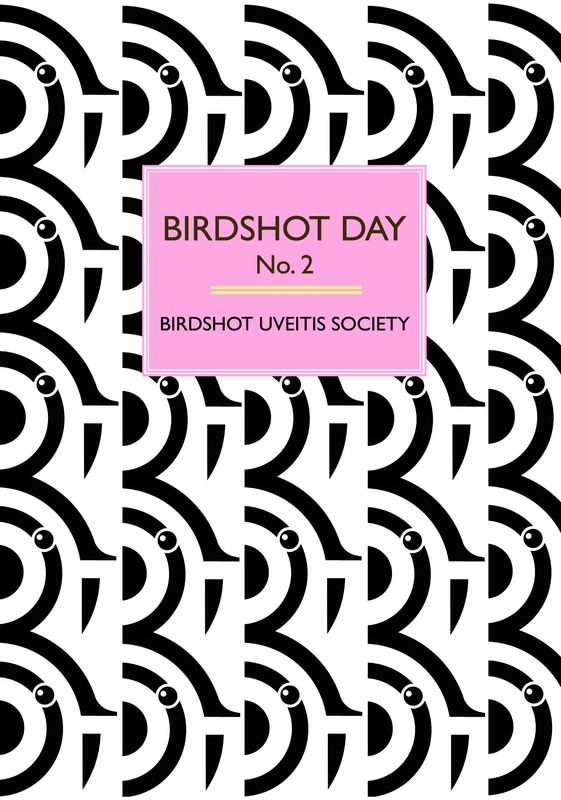 Birdshot Uveitis Society (BUS) is delighted to bring you the talks from our Birdshot Day held on 17th November 2018. We are very grateful to the media team at Moorfields NIHR Biomedical Research Centre who have kindly edited and put the presentations together for BUS. Below you will find the videos of the talks given in Session 1. These provide an excellent introduction to birdshot uveitis and also what is happening to your immune system when birdshot starts to develop. Alastair Denniston’s five-minute talk explains what a ‘Birdshot POEM’ is (Patient Outcomes Experience Measures): a quick snapshot survey about how the patient currently is feeling about their vision. These five-minute and 10-minute talks explain this complex subject in a way that is easy to understand. The videos may be helpful to show your friends and family if they are interested in finding out more about what your birdshot diagnosis means for you. Laura is a Consultant Ophthalmologist at Manchester Royal Eye Hospital (MREH). She graduated from the University of Glasgow in 2006 and completed specialist training in the North Western deanery followed by two years of sub-speciality training in uveitis at MREH and Bristol Eye Hospital. Laura was appointed as a Consultant in adult and paediatric uveitis in 2016 and is an honorary lecturer at the University of Manchester. Laura is involved in uveitis research and has been an investigator in several national and international clinical trials. Laura regularly presents at international and national meetings and publishes in peer-reviewed journals. She is an active member of several networks including the Uveitis National Clinical Study Group, Paediatric Ocular Inflammation Group, European Society of Retina Specialists and the Birdshot Uveitis Society. She also contributes to patient safety work for the Royal College of Ophthalmologists. Alastair is Consultant Ophthalmologist (Uveitis and Medical Retina) at University Hospitals Birmingham NHS Foundation Trust and Honorary Reader at the University of Birmingham, UK. Alongside Prof Philip Murray, he leads the Birmingham Regional Birdshot Uveitis Clinic which is utilising novel means of imaging to try to improve detection of active disease. He also leads on the development of the National Birdshot Biobank and the Birdshot Registry (database) with Charlotte Radovanovic, Birdshot database project manager. He was awarded an MRC Clinical Research Training Fellowship in 2006, and completed his PhD in Ocular Immunity in 2009. He regularly publishes research papers in scientific journals and is active in research related to birdshot, with a particular emphasis on improving our ability to monitor the activity of birdshot and other forms of uveitis. To further this work, he established the EQUATOR consortium (www.equator.vision) in 2013 with Mr Pearse Keane. Alastair is keen to promote public awareness and patient engagement with ophthalmic research and has been actively involved with the Medical Research Council (MRC) Max Perutz Science Writing Prize and the British Science Festival. Sleep and the lack of sleep is something that that birdshotters tend to suffer from, so we were delighted and honoured to be able to get the world-renowned professor of sleep and circadian rhythms to be our guest speaker. Below we present his fascinating talk: ‘The eye and regulation of biological time’ which is followed by a series of very interesting questions from the audience in a separate film clip. Russell Foster is Professor of Circadian Neuroscience, Head of the Nuffield Laboratory of Ophthalmology and Director of the Sleep and Circadian Neuroscience Institute at the University of Oxford. He is a Fellow of Brasenose College, Oxford. Russell’s research interests span the neurosciences, but with a focus on the regulation and generation of sleep and circadian rhythms, and what happens when these systems go wrong across multiple areas of health. He has published over 240 peer- reviewed scientific papers and four popular science books on sleep and circadian rhythms. For his discoveries, he has received multiple prizes and honours, not least election to the Fellowship of the Royal Society in 2008 and the Academy of Medical Sciences in 2013. In 2015, Russell was appointed as a Commander of the British Empire (CBE) for services to science and awarded a DSc from the University of Bristol. ‘Birdshot Question Time’ – panel of patient and professional experts, chaired by Philip Murray. An hour-long question time session at the end of the day where a panel of experts, both health professionals and patients, answered questions from the floor as well as questions that had been sent in advance. Phil is Honorary Consultant Ophthalmologist at the Birmingham and Midland Eye Centre (BMEC), Sandwell and West Birmingham Hospitals NHS Trust and runs two dedicated regional and supra-regional uveitis clinics per week. He enjoys the challenging and frustrating nature of uveitis but also finds it immensely rewarding. He is involved in clinical trials on novel therapies for uveitis and until recently he had a special interest in cataract surgery on the uveitic eye. He is part of the Birmingham National Centre of Excellence for Behçet’s syndrome. From 2004-2016 he was Secretary of the International Uveitis Study Group. He sits on numerous national committees, is section editor for three journals, an examiner for the Royal College of Ophthalmologists (RCOphth), external examiner for the Royal College of Surgeons of Ireland and past external examiner, Optometry BSc (Hons), Aston University. He has published over 180 peer-reviewed papers, contributed numerous book chapters and authored four textbooks, including the highly successful ‘Oxford Handbook of Ophthalmology’. He has a keen interest in undergraduate ophthalmology teaching (previously national lead for the RCOphth), is an adviser to three national uveitis patient groups, helped set up a successful local patient involvement group in uveitis and is an advocate of the ‘patient voice’. For the fourth time in as many years, the beautiful Royal Berkshire Shooting School was the venue for John Hall’s Birdshot Uveitis Charity Clay Shoot day, sponsored by John F Hunt. The weather was not very early June-like, but it did not prevent the 28 teams of four having tremendous fun on the 10 stands provided. Top team, winning engraved whiskey tumblers, were the Greenshield JCB’s ‘Marksmen’ team: James Pengilley, Paul Poulter, Andy Skilton and Alex Cobb, with a superb score of 437, some way ahead of their rivals. Top gun was Paragon’s Richard Estrop of the creatively named ‘Paragon Pigeon Punishers’ team, while Carol Limehouse carried away the prize for Top Lady. Before the auction, Miles Stanford, Professor of Clinical Ophthalmology at Guy’s and St Thomas’ NHS Foundation Trust, gave a brief talk about the current research being done on Birdshot Uveitis, a rare and potentially blinding eye condition. Lord Archer did the honours as auctioneer, as usual managing to extract money from people but leaving them with large grins on their faces. The day raised approximately £50,000 for the Birdshot Uveitis Society (BUS). John Hall and all those at BUS would like to say a huge and heartfelt thank you to everyone who contributed to this enjoyable and successful day. Dr Tracy Craggs has been listening to people talk about sensitive issues for the past 20 years, including asking Holocaust survivors and members of the armed forces to share their experiences. Her interviews have been used for a variety of educational purposes. She was delighted to be asked to attend our recent Birdshot Day No 3 and listen to some of our attendees talk about their lives since diagnosis. Hot News! 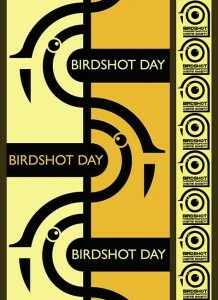 The 2012 Birdshot Day DVDs are now available. They contain all the talks, all the question and answer sessions and individual interviews with patients and professionals. Compulsive viewing for those of you who were not able to attend the day, and for those of you who want to relive the day. We are trying to provide the DVD free of charge, but we do need a donation to cover the cost of production, postage and packing. To order your copy, please email us at info@birdshot.org.uk giving us details of where you want it posted. The Birdshot Day DVD has finally arrived. It contains recordings of all of the days talks, interviews with people with Birdshot, health professionals, charities and low vision specialists who attended.